Lovely. 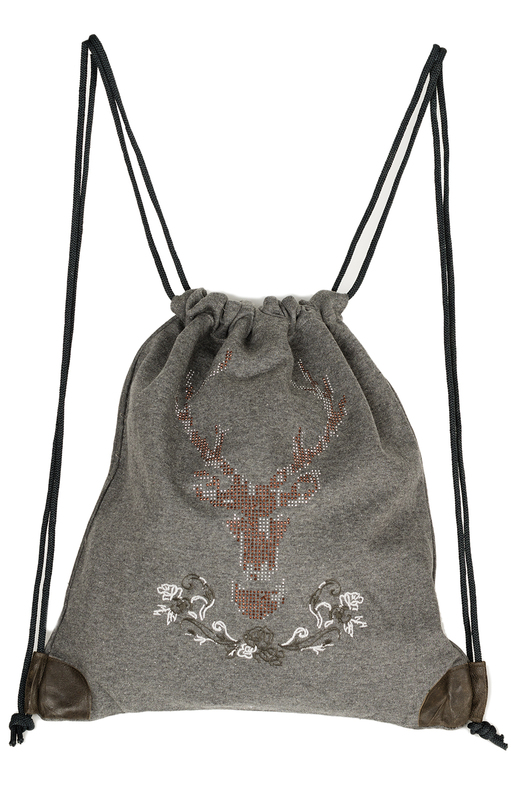 The cute gym bag by Marjo. Colour grey. There is always something to stow. 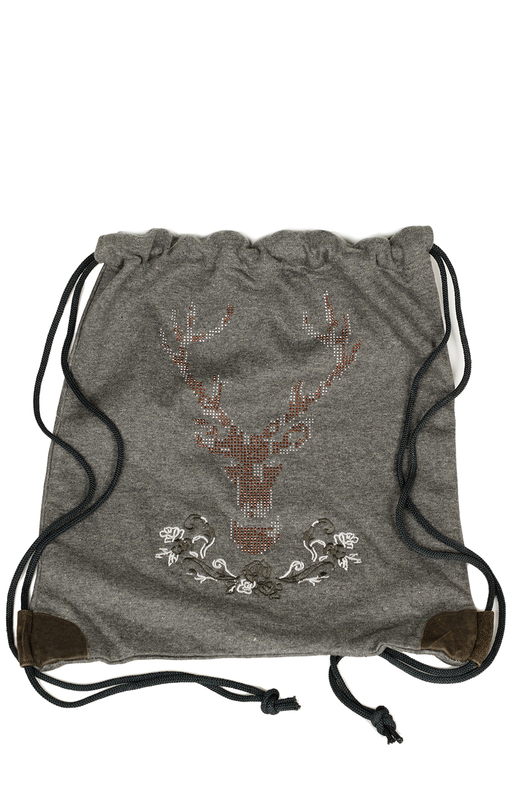 As a trainer bag or as a break bag ideal. With the gym bag you not only get a lot under, but they pack your things in a very individual and beautiful way. 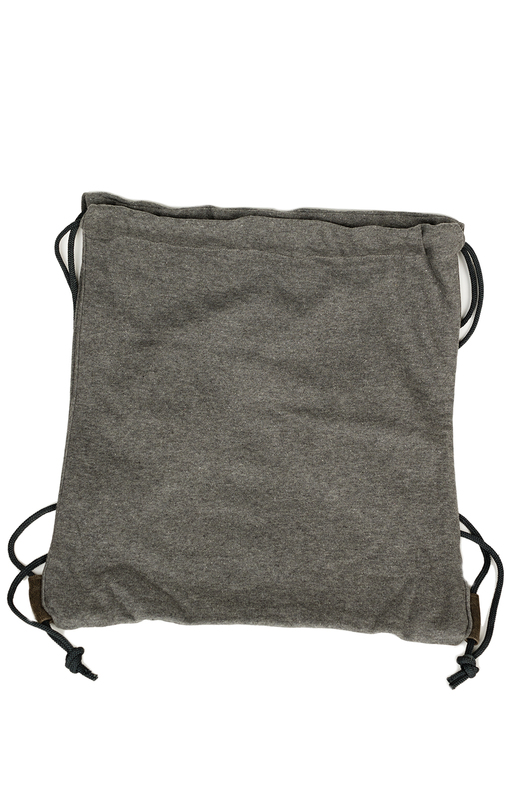 The gym bag can be closed with the drawstring and can even be worn as a backpack. 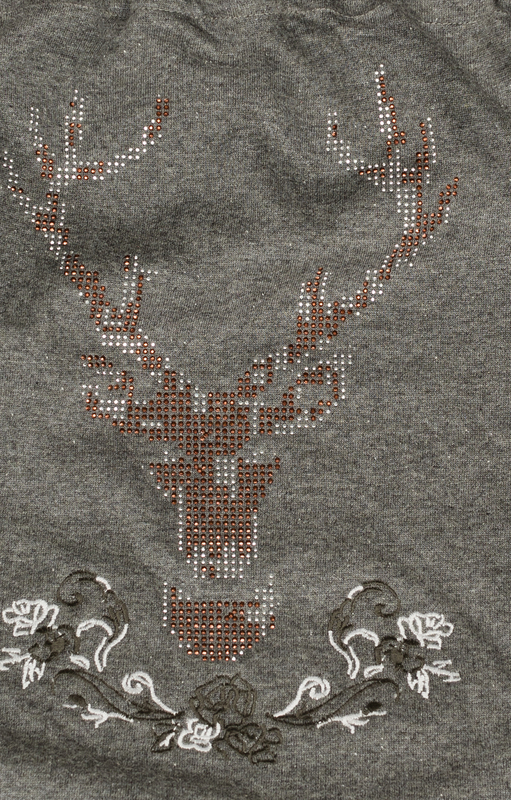 The deer motive is really very nice made with small Rosemary applications, coloured rhinestones, etc., making you really want to get out your trainers and start again.